Volunteers of America is a national, nonprofit, faith-based organization dedicated to helping those in need to rebuild their lives and reach their full potential. Volunteers of America-Western Nebraska is a faith-based organization whose mission is to promote physical, emotional, intellectual, and spiritual well-being, serving children, families, and communities. Volunteers of America Western Nebraska serves the western half of Nebraska with a variety of programs including preschool, childcare, after-school care, health promotion, food pantry, utility assistance, drug and alcohol abuse prevention and more. Our ministry of service includes staff and volunteers affiliated with many churches serving people in our own communities. 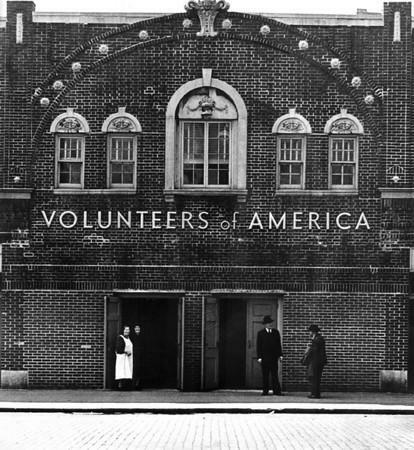 Volunteers of America has a long history of serving rural Nebraska. Mary Beard started the affiliate in 1944 by holding a birthday party for herself and donating free school supplies and silver dollars to children who attended. Volunteers of America Western Nebraska continues the Mary Beard Birthday Party today and provides a community of support for children with preschool, a childcare center, and an after-school program. In 1984, Volunteers of America started a community health promotion program and incorporated in the state of Nebraska. Community support has allowed the organization to grow and expand. We hope you will join us — share in our programs and volunteer or support our services.